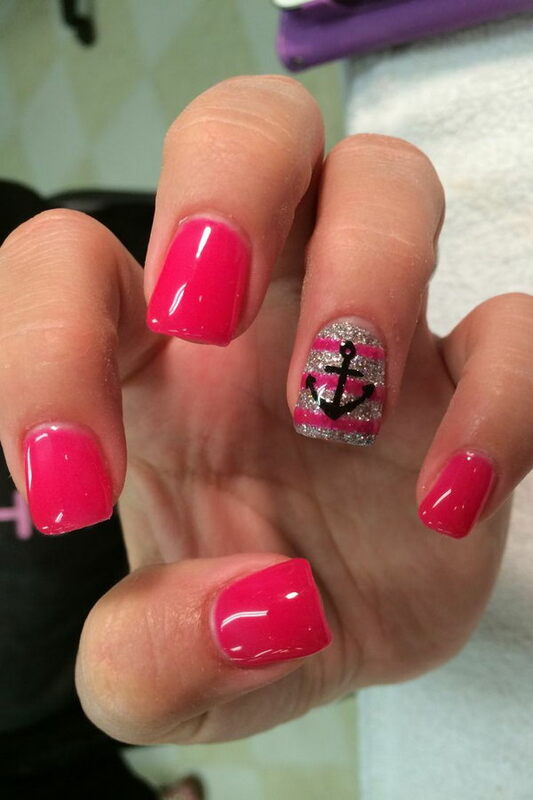 There are a lot of symbolic meanings associated with anchor, an iconic maritime symbol. 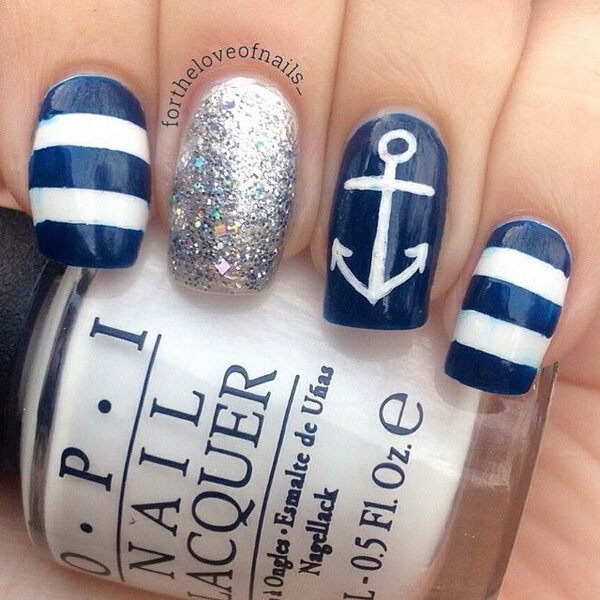 An anchor is usually used to moor a vessel to the sea bottom, which reminds people that anchor is symbolic of stability, safety and hope. 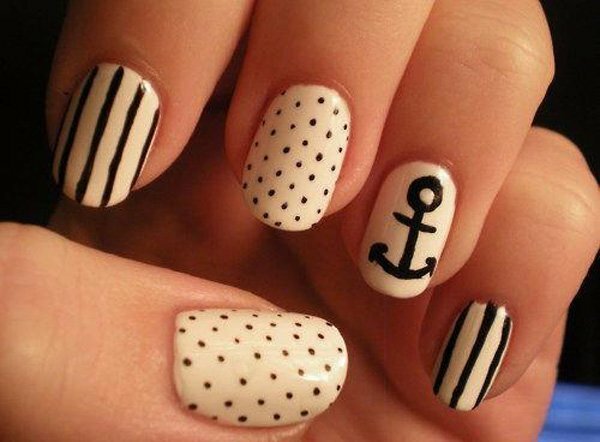 Now anchor has become one of elements of fashion designs and has seeped its way into the fashion industry. 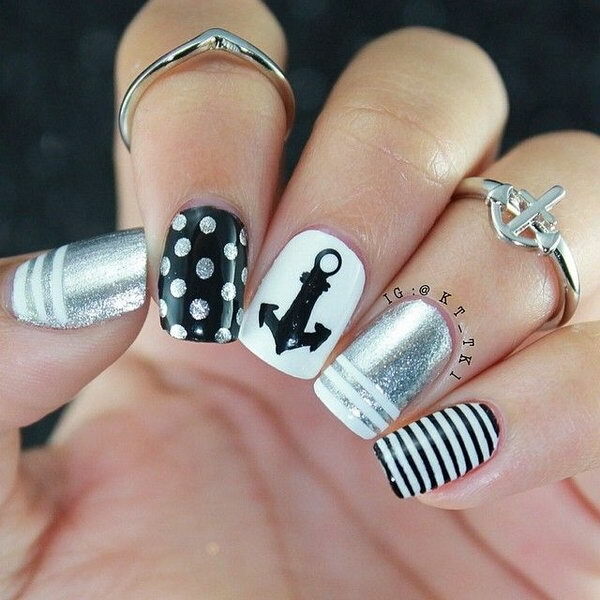 Anchor gains its popularity in nail art and tattoo design industry for a long time among fashionistas, not only just for its cute, elegant and fashionable style, but also symbolic meanings it carries or merely for the appealing effect it creates on the nails. 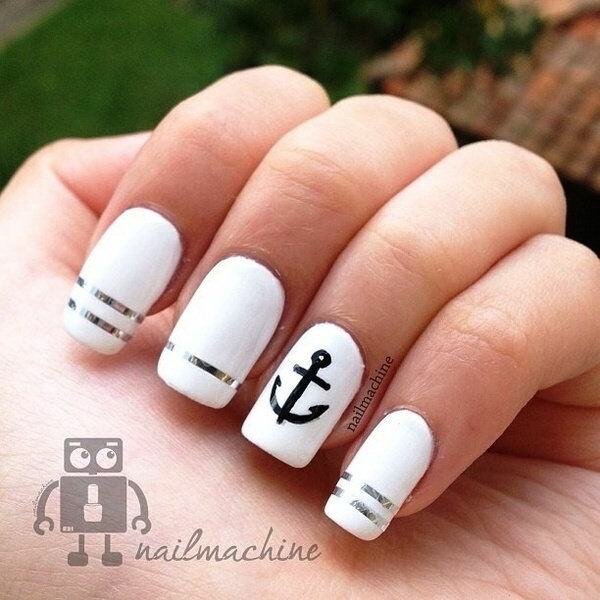 Nowadays, anchor tattoo or nail design is really a perfect combination of fashion icon and its symbolic meaning. 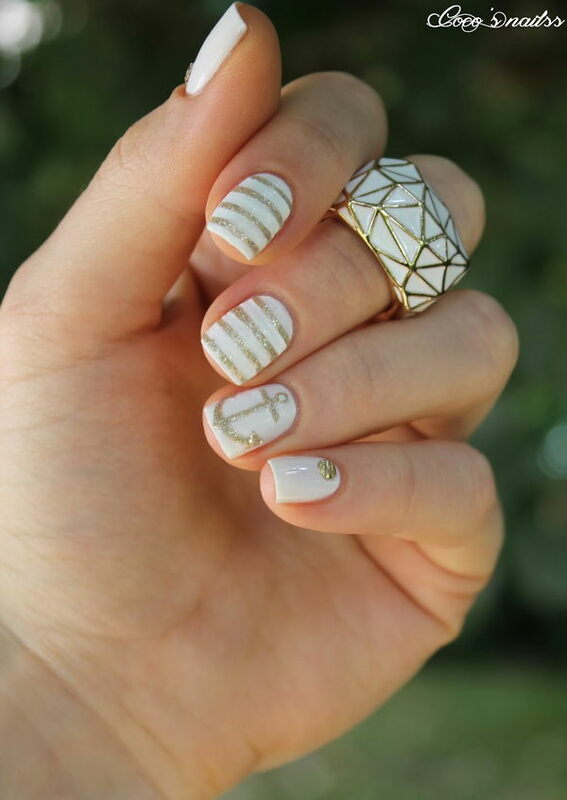 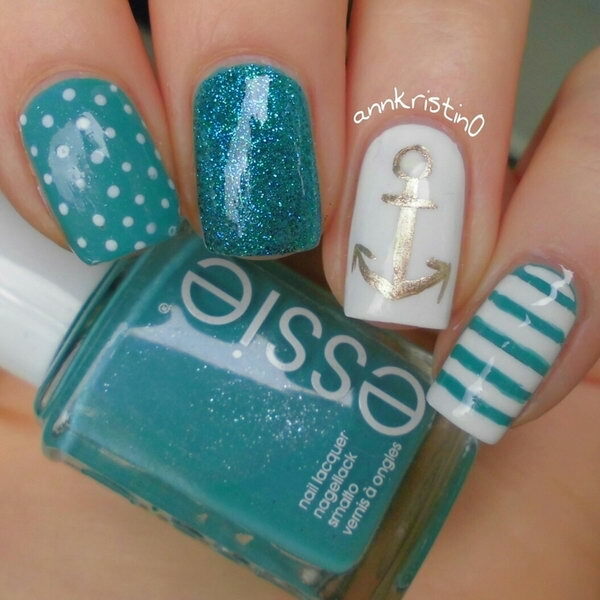 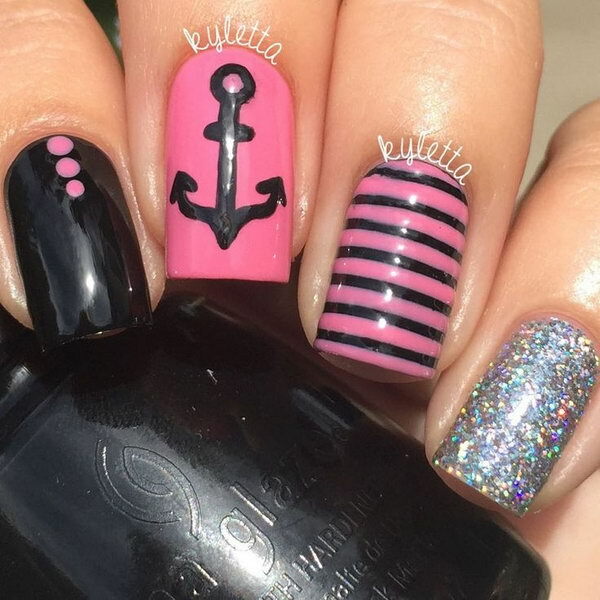 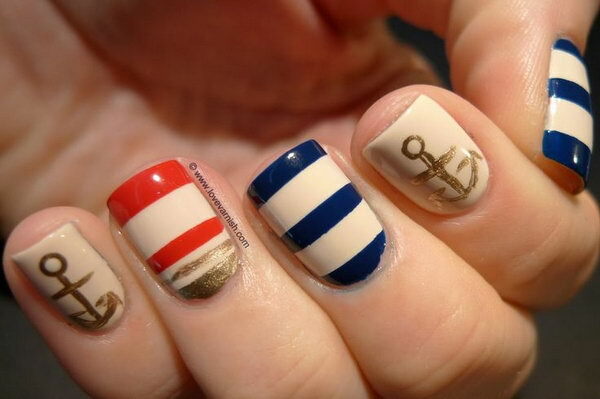 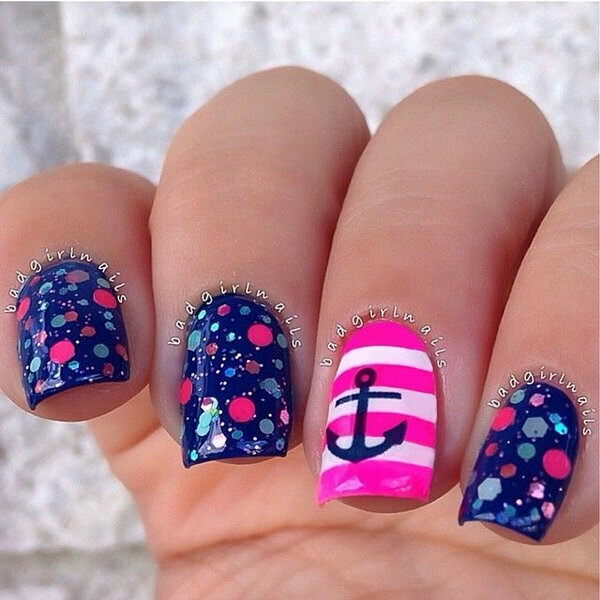 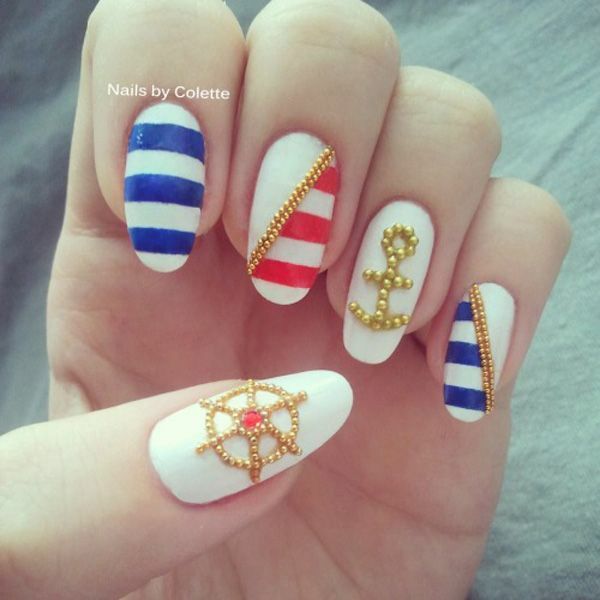 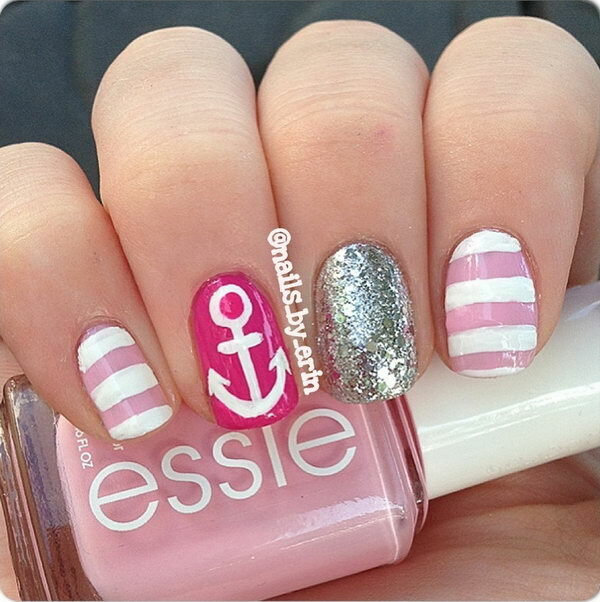 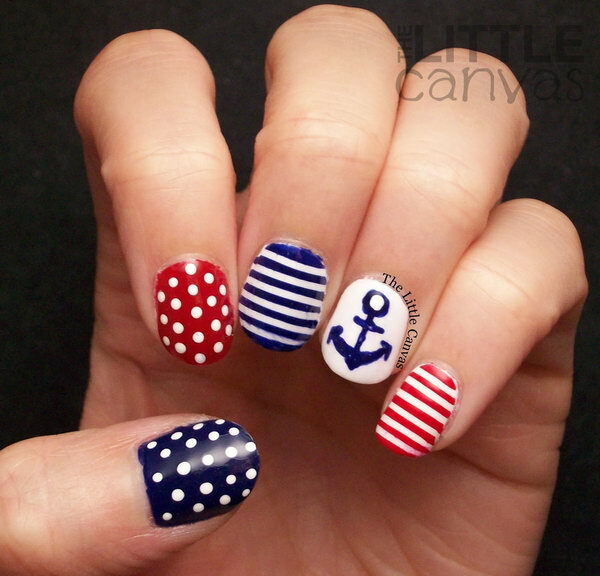 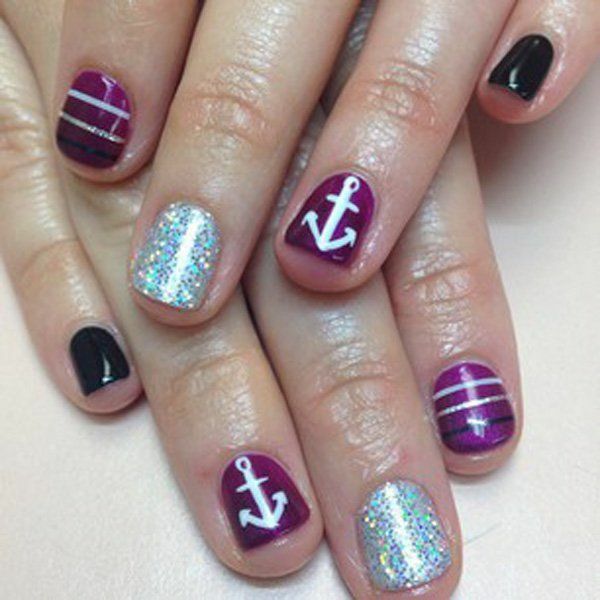 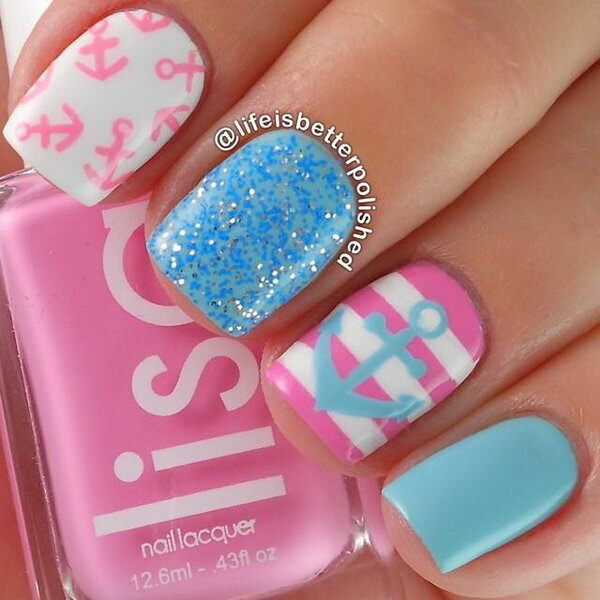 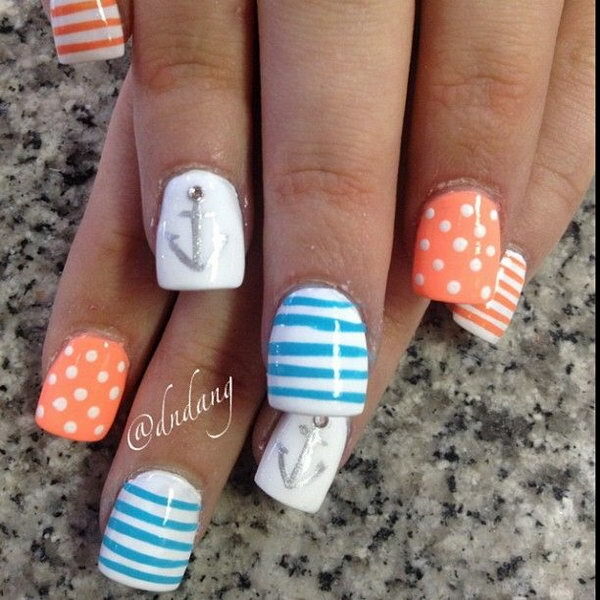 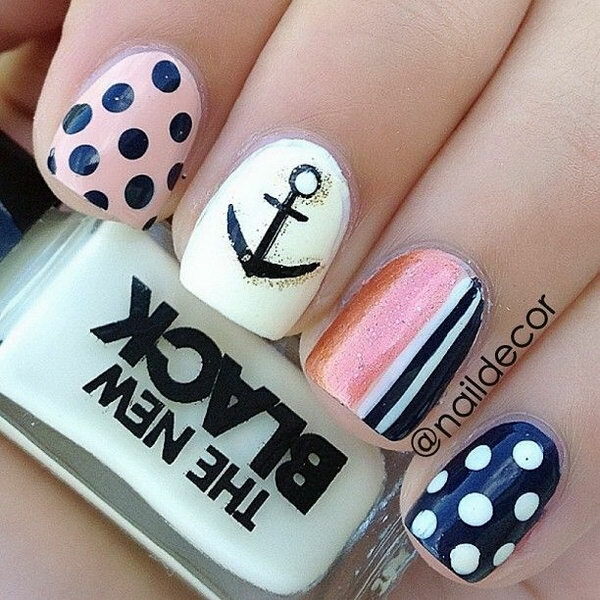 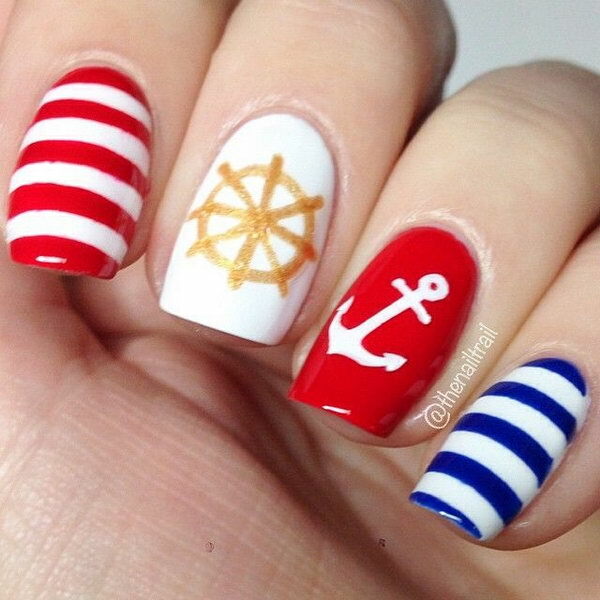 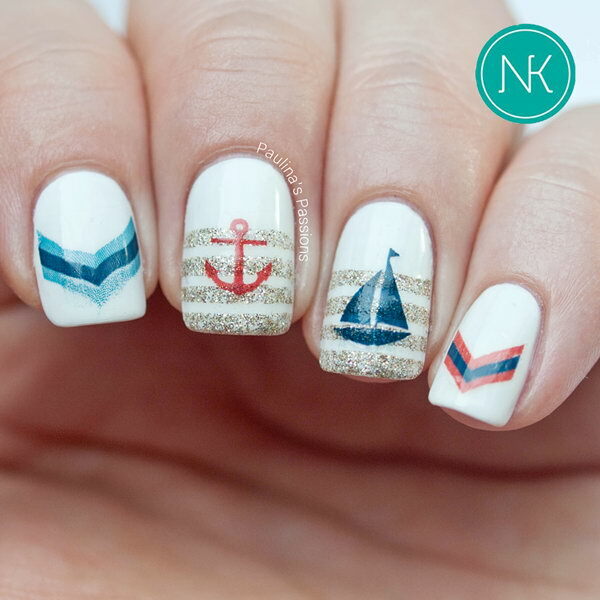 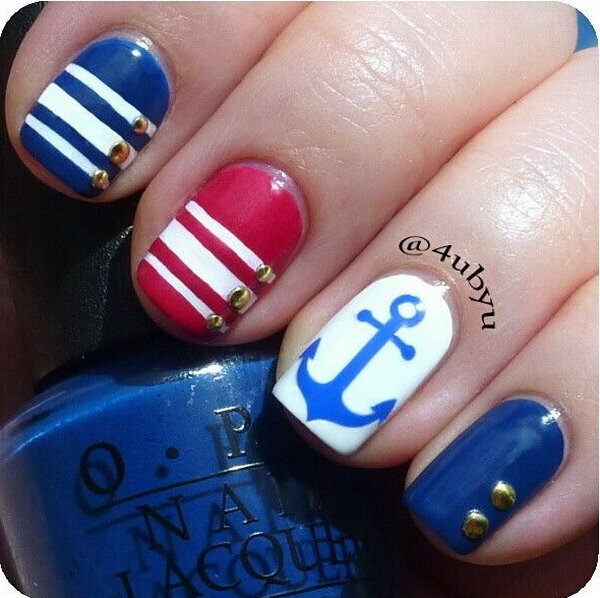 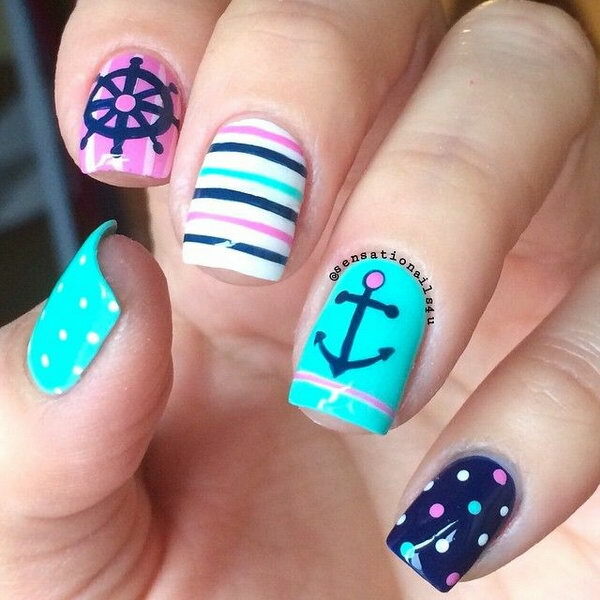 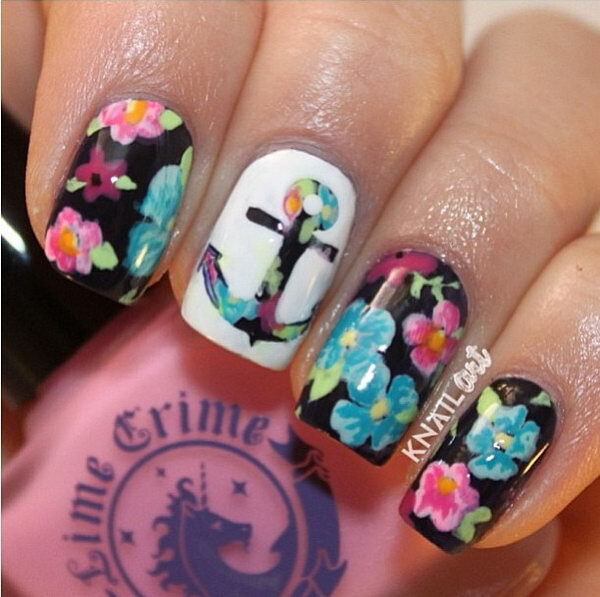 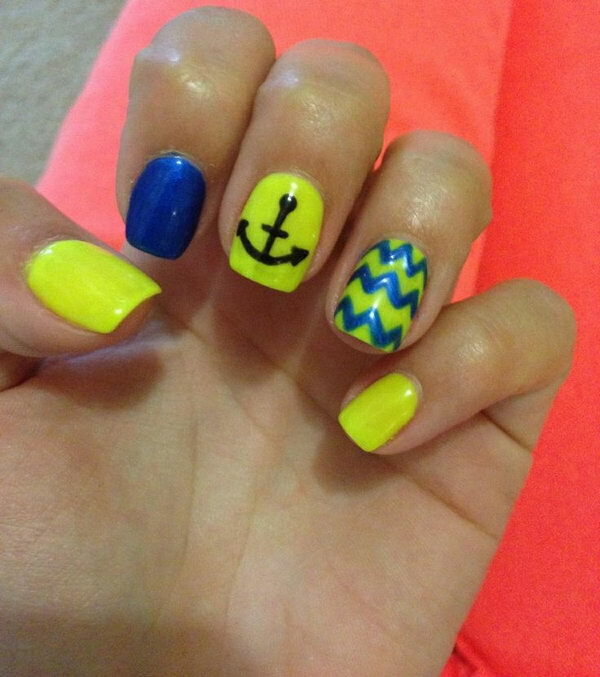 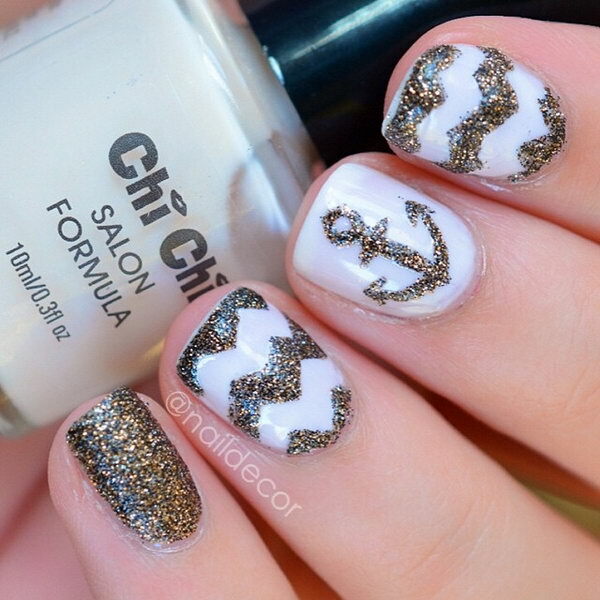 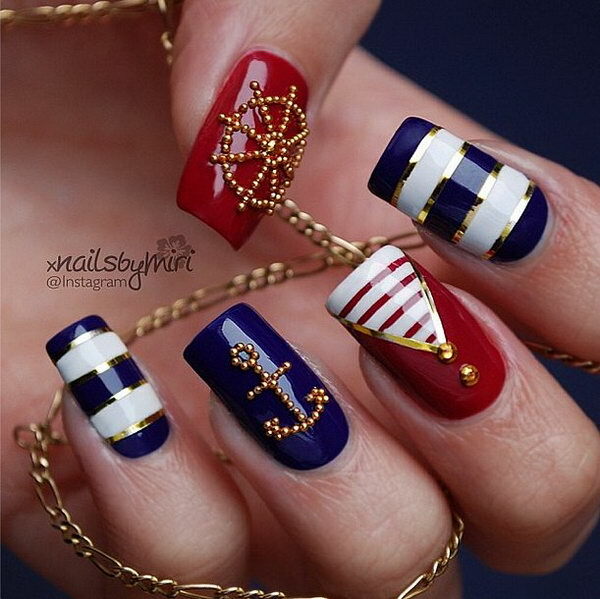 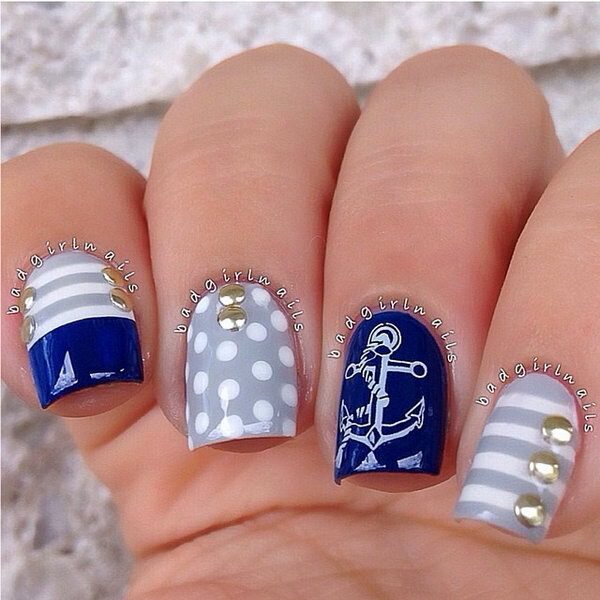 Today, we will talking and sharing some creative anchor nail designs with you. 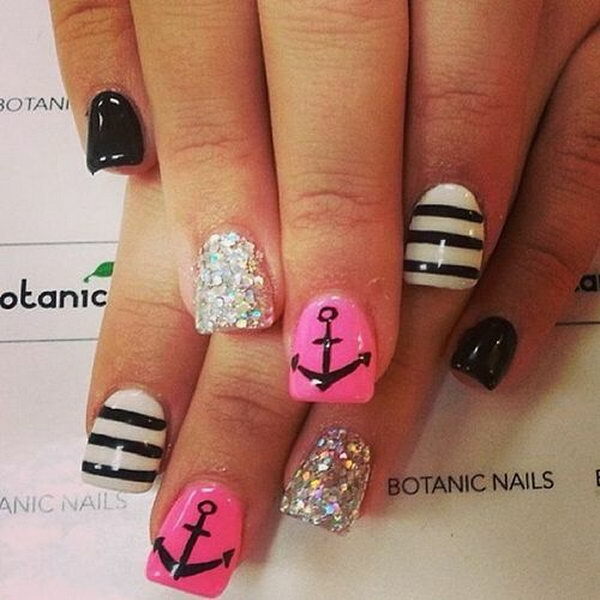 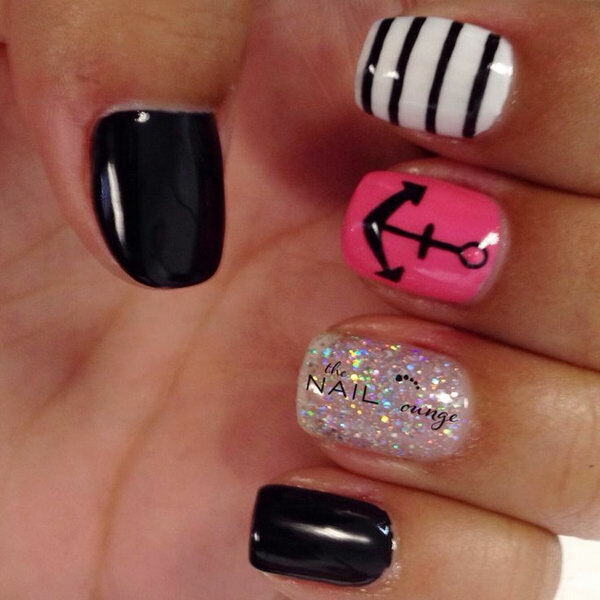 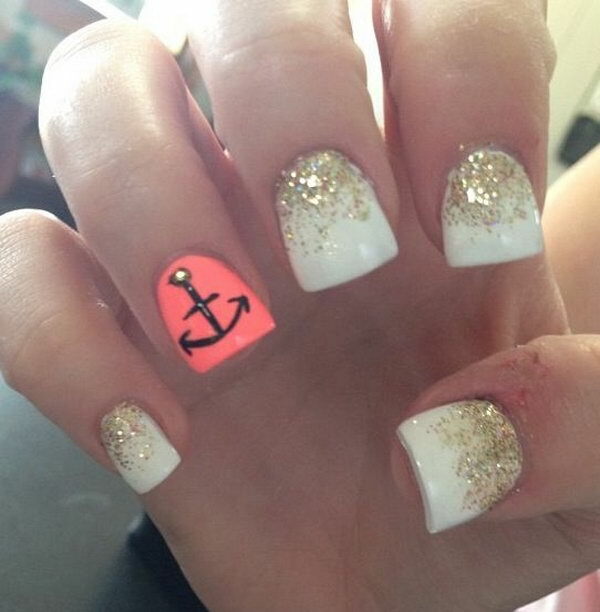 When it comes to doing anchor nail designs, you can have a wide variety of designs to choose. 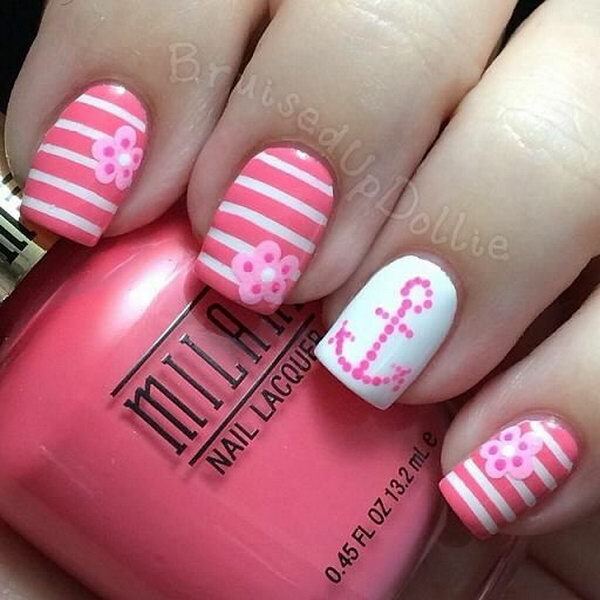 Several different patterns can be mixed and matched along with the anchor designs, such as the polka dots, strips, chevron patterns and more. 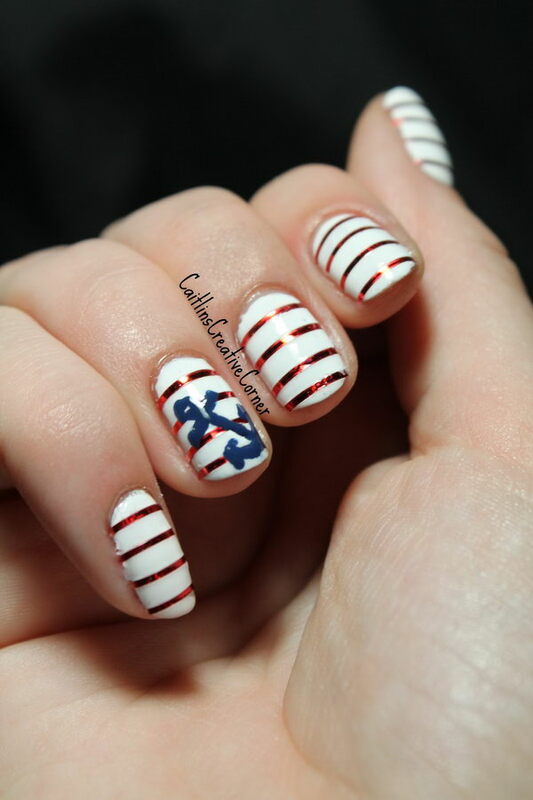 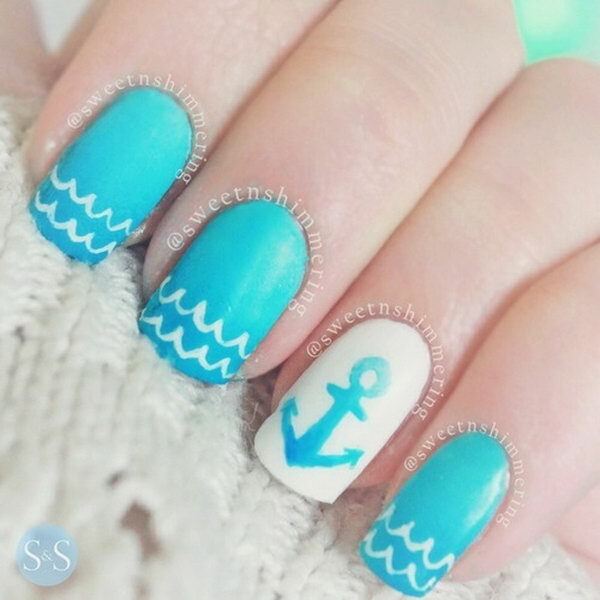 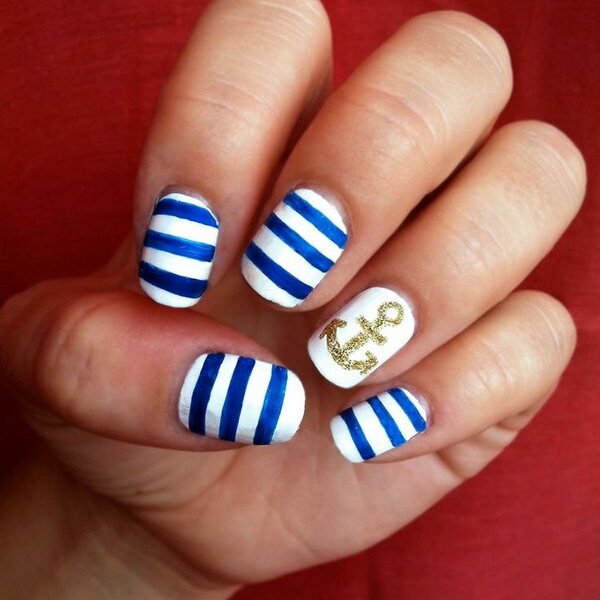 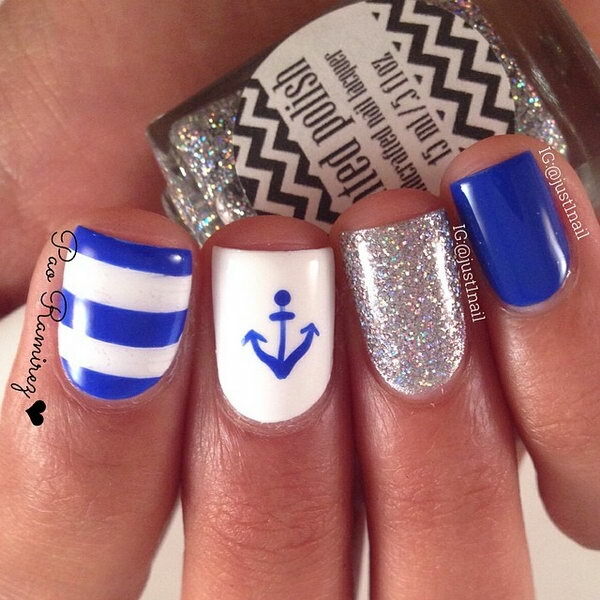 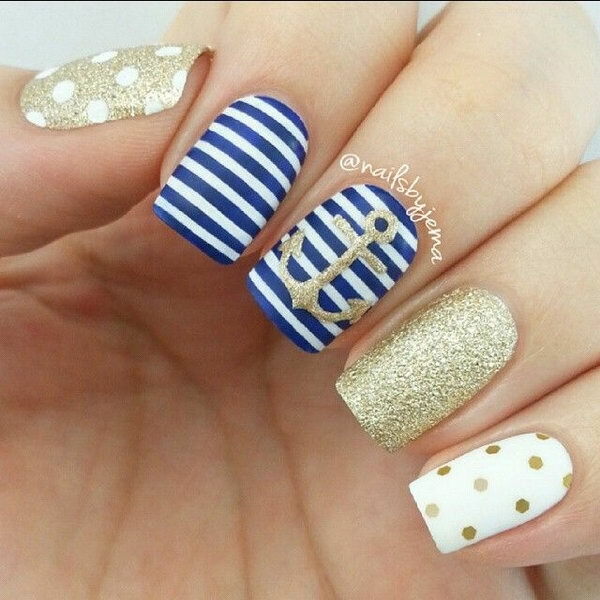 Blue and white stripes are generally the patterns that are seen on nails along with the anchor symbol. 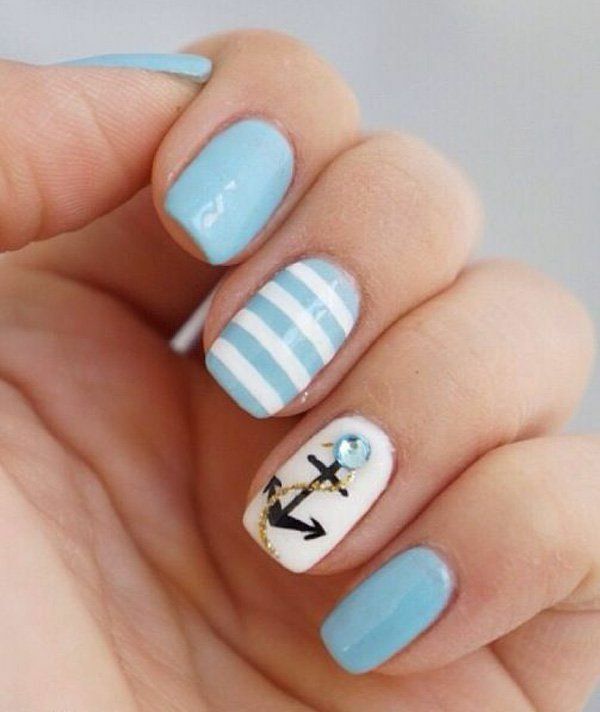 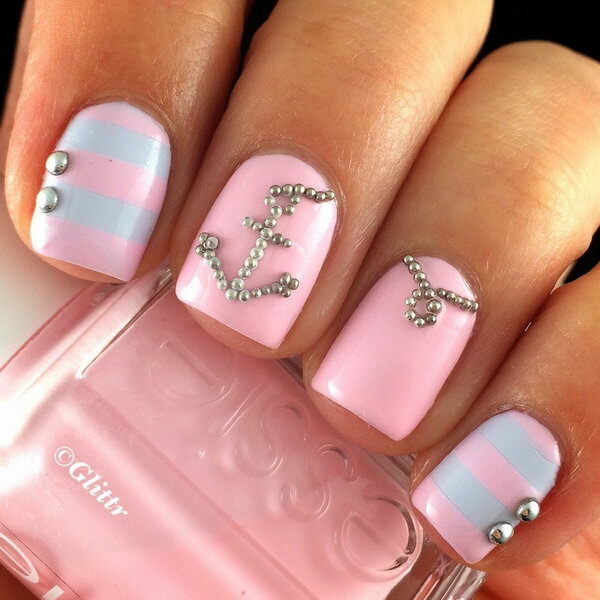 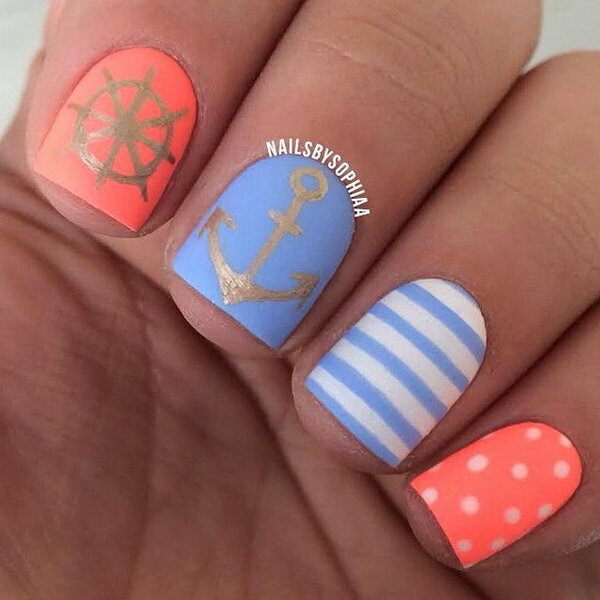 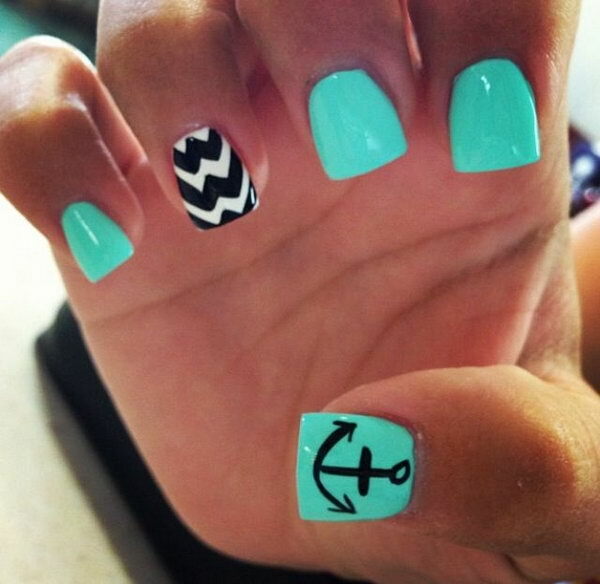 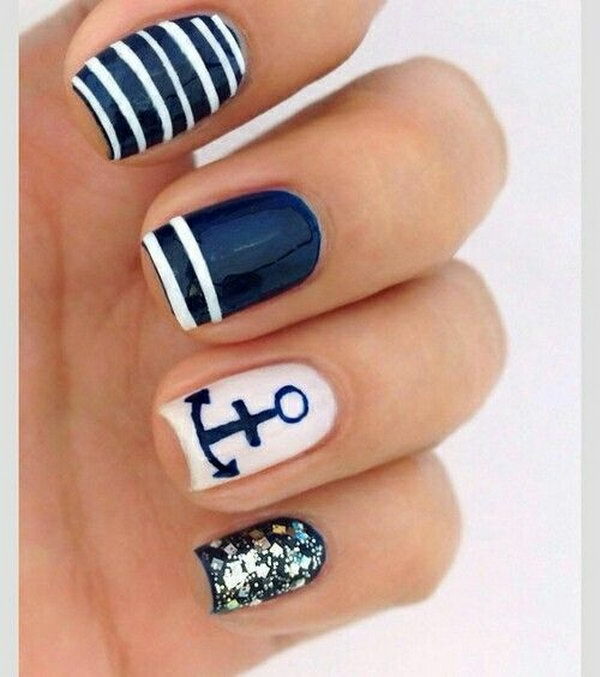 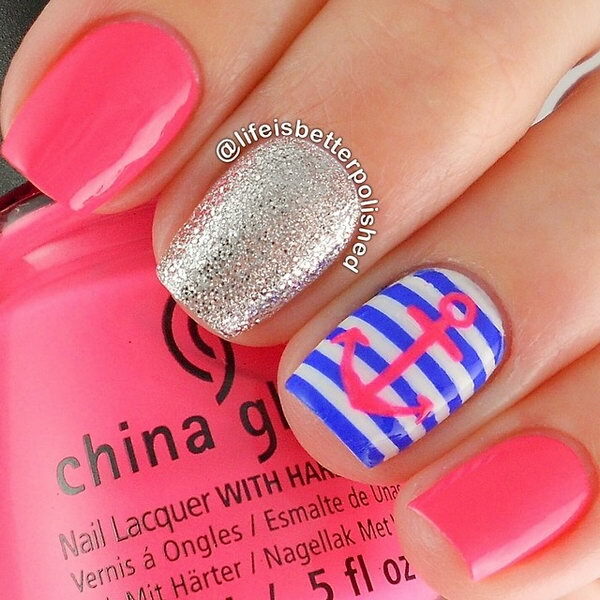 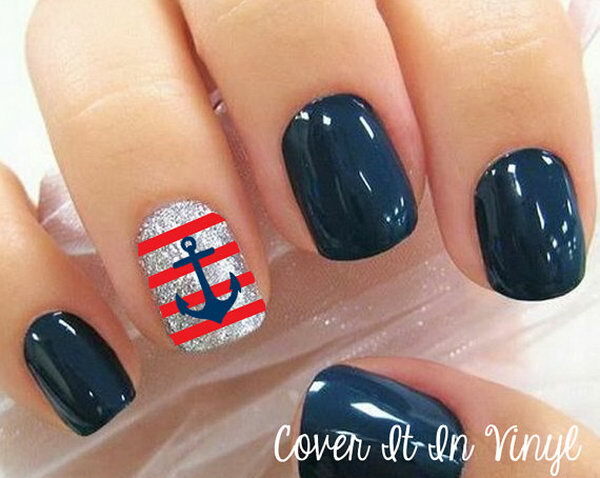 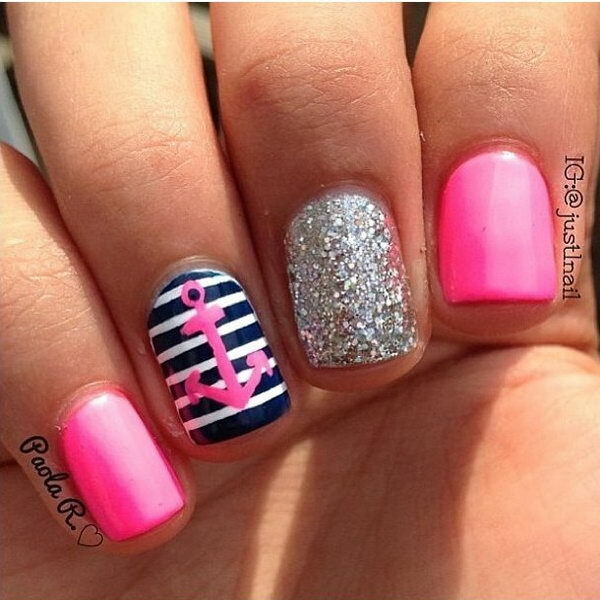 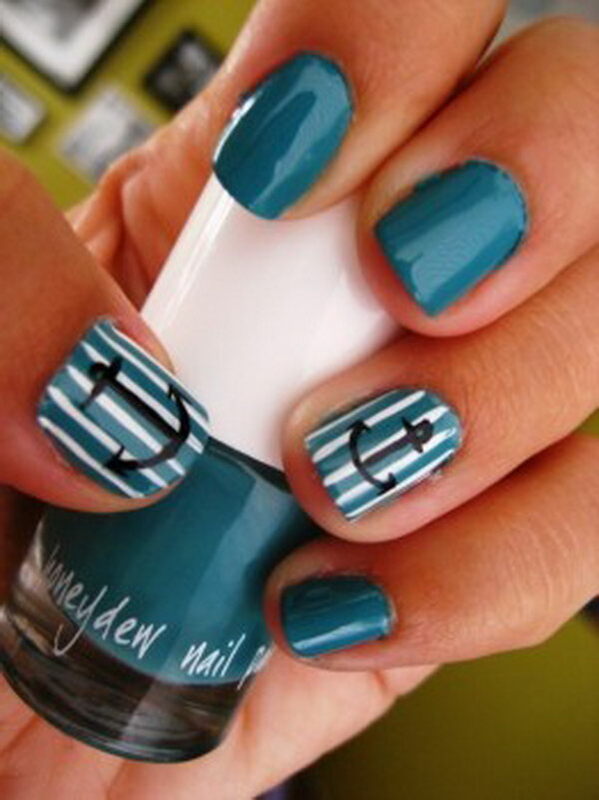 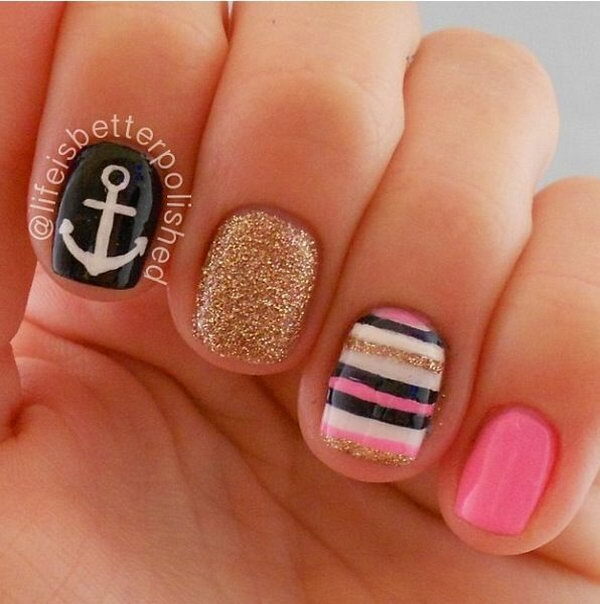 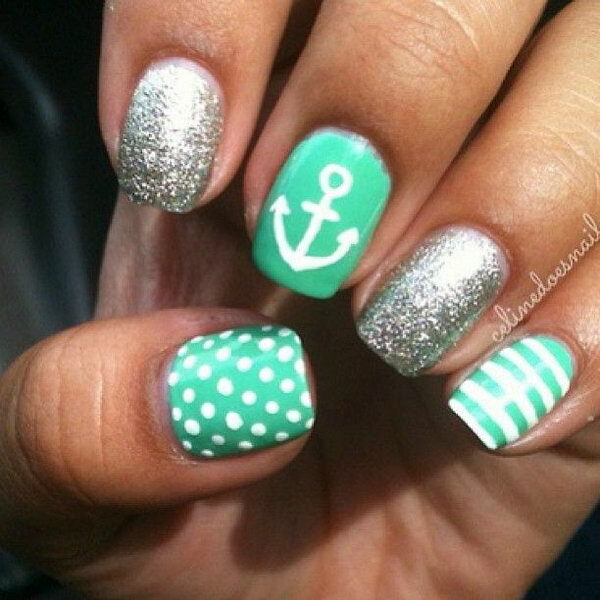 Anchor nails are really cool and can go well with any other outfit piece easily. 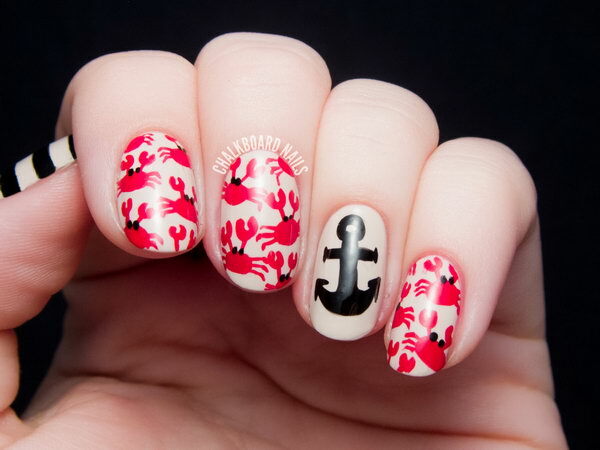 What’s more, anchor patterns can really make women look much younger and chicer. 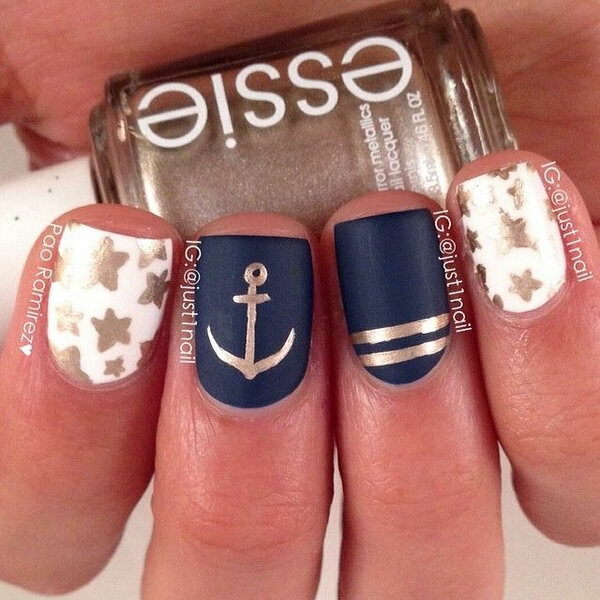 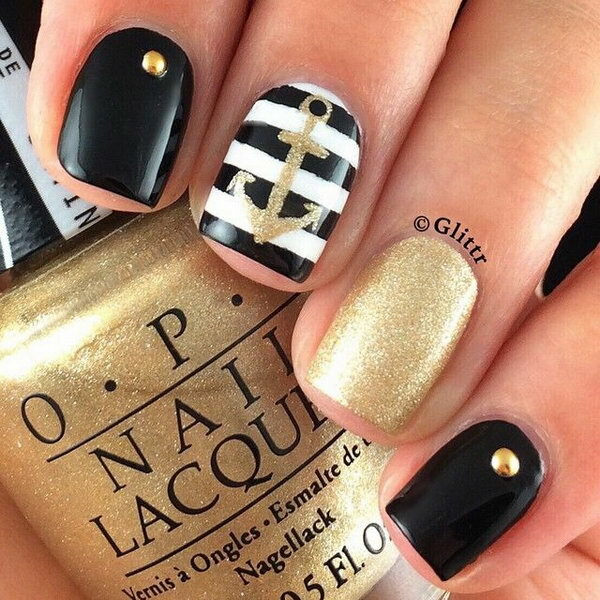 In this post, we have a collection of awesome and rocking nail art designs with the cool anchors. 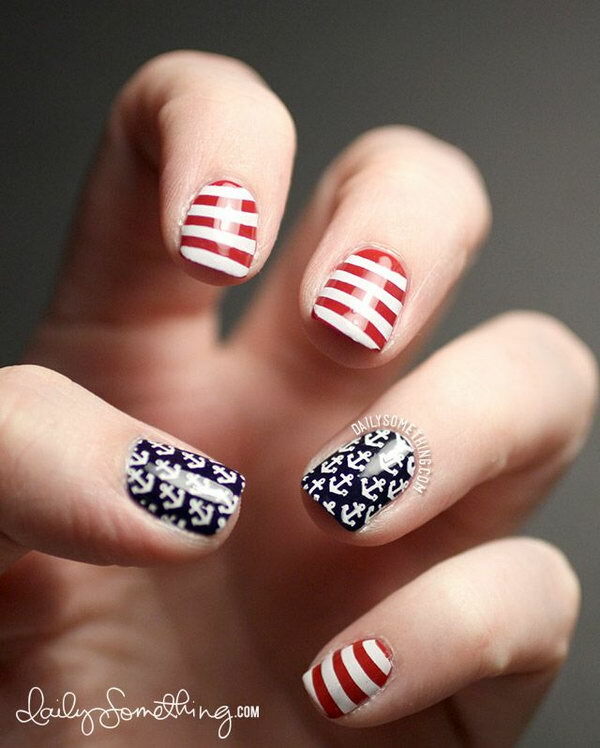 Please enjoy and feel free to pin it if you like any of them.